Extra: Participation fee EUR 350 (Euros). 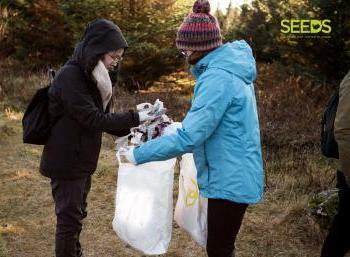 The fee includes transportation from the meeting point to the camp and back into SEEDS office as well as the visits to the Geothermal power plant, the recycling centre & the Golden Circle excursion. Please note this project is a learning/sharing camp, in which everybody is expected to contribute their own knowledge and experience, and not a standard workcamp. The main focus of this camp is to learn about different aspects of environmental and sustainability issues through a selection of workshops, discussions and visits. Topics may include issues like renewable energy, food waste, and sustainable practices such as collaborative consumption or veganism. The over 2 million tourists coming to Iceland every year leave a mark on the country. This camp will help you to be an environmentally aware traveller & consumer. EXTRAS/SPECIAL REMARKS: Participation fee EUR 350 (Euros). Please note that the fee can either be transferred in advance via bank transfer, or paid for on arrival. Meeting time will be 18:00 (6:00 pm) on February 28 at SEEDS Office. Participants that cannot arrive on time (later or delayed flights) will be sent information on how to reach the camp on their own.